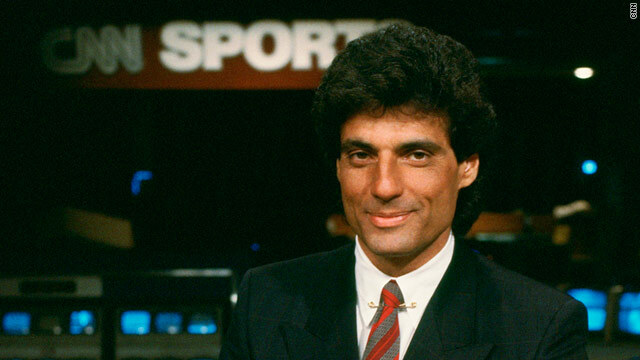 CNN's first sports anchor, Nick Charles passed away Saturday after a lengthy battle with Cancer. He was 64 and is survived by his wife, Cory, a Senior Director of Guest Planning for CNN International and four children. With great sadness I send this to inform you our friend and former colleague Nick Charles died this morning. As you may know, Nick had been ill for some time. He was public and extraordinarily generous with the story of his health struggles in recent months, notably in conversations with Sanjay Gupta for his show and a recent profile by Wayne Drash for CNN.com. As a journalist and sports personality, Nick helped put CNN on the map in its early days. He brought intelligence, style and heart to his work–qualities that translated to our company and inspired those of us who worked alongside him. You’ll see some of that work in remembrances over the coming days. We will share information on arrangements when we receive it. Our thoughts now are with Cory, Nick’s wife and our CNN colleague, his four children and the Charles family. Their loss is also a loss to CNN, to the sports world and to those of us who were proud and fortunate to call him friend. CNN Chief Medical Correspondent Dr. Sanjay Gupta is hosting a special report Nick Charles: No Regrets, Lessons from the Fight which airs at 7:30 AM ET Sunday morning on CNN. We have deepest sympathy in this time.